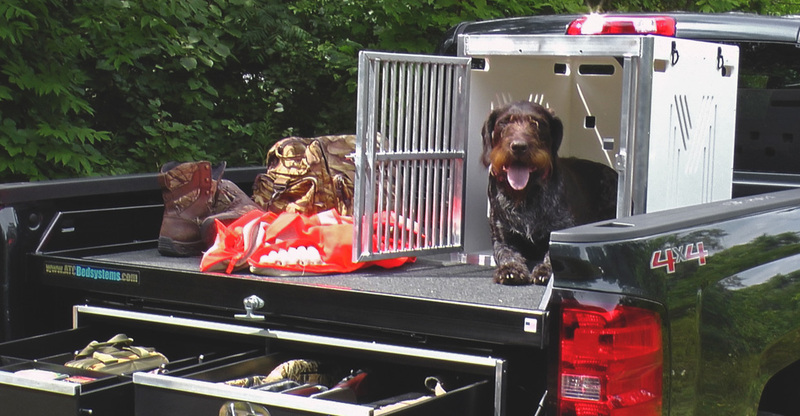 We mean business when it comes to the safety of your hunting partner or canine companion, that’s why we are so excited about our heavy duty Dog Kennel! 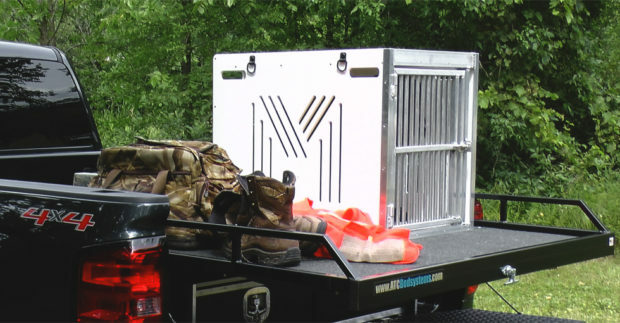 Built tough, with the same sturdy construction as our storage drawers, the kennel box is high-density polyethylene and has a fully-welded aluminum door & face frame. Available in black or white. Standard lead time is 2-3 weeks. This super duty kennel has solved the problem of Nettie (shown in the picture above) chewing up her standard wire framed kennel.